Vern Burkhardt (VB): What led to your research interest in group or team creativity and innovation? Dorothy Leonard: Innovation has long been an interest of mine. After college I was a volunteer university teacher in the Peace Corp for two years. Later I worked as a freelance journalist in Thailand during the time the U.S. was increasing its military presence in Vietnam. After leaving the Peace Corp my late husband and I worked for the United States Agency for International Development. We saw innovations inappropriately applied to situations. For example, in exchange for the use of Thailand's airfields, from which the U.S. was bombing and strafing Vietnam, part of the American payment to Thailand was made in the form of kitchen stoves to be used in the schools to teach cooking. These stoves were totally inappropriate. They were heavy energy users with lots of bells and whistles that were a mystery to the Thai teachers. My interest in innovation and the contradictions that you run into between creating something for a market and failing to understand the market needs, probably originated with those observations of inappropriate innovation being introduced into a culture that needed a different kind of innovation. VB: Your other research interests include experience-based expertise and the culture of a learning organization. Are they also tied to your interest in creativity and innovation? Dorothy Leonard: Yes, I think they are. The first book I wrote called Wellsprings of Knowledge, is about the way companies and other organizations build innovation based on the capabilities they have nurtured over time. There is a deep connection between the knowledge an organization accrues over time and its ability to apply that knowledge to new markets, new ideas, and new capacities. So I see them as linked. An interesting paradox is that often innovation grows and creativity springs from the combination of a beginner's mind and existing expertise. When I wrote Wellsprings of Knowledge, and the subtitle of that book is Building and Sustaining The Sources of Innovation, I was interested in the connection between knowledge acquisition and growth and the underlying creative capability it delivers to both the individual and the organization. VB: In When Sparks Fly you say, "Creativity is a process of developing and expressing novel ideas that are likely to be useful." Does the creative process in a group have to be managed? Dorothy Leonard: It has to be guided. In the book I think we say it can be managed to a certain extent, but more importantly, it can also be killed. I say it has to be 'guided" because creativity is a word that can carry a lot of baggage causing people to associate creativity with the lone artist or the lone inventor. People often have the misconception that creativity in a group is simply a matter of freeing those individual forces of creativity and letting them fly. While there is a certain amount of truth to that, with some kinds of brainstorming there are going to be tensions that arise naturally from putting human beings into a group to work together. Those tensions can be managed and guided towards producing light rather than heat. The ability of a leader to guide the process of creativity increases the probability that the output of that process will be useful, productive and original. VB: What do you have to do to make sparks fly? Dorothy Leonard: I'm not sure if the title of the book was a very good choice! After it was published one of my older brothers brought me a Harlequin paperback with the same title, and on the front cover was a scantily dressed woman in the clutches of a fire fighter! How to make sparks fly – we suggest a lot of different ways in the book. We say having people with different experience and expertise naturally leads to a collision of ideas, and that can be very helpful. Another approach is taking people out of their usual environment, especially if they are office bound, and subjecting them to different environments and to different problem solving techniques that have been used by other people to stimulate the spark. We suggest designing the physical environment so that it helps facilitate and create opportunities for people of different backgrounds to easily work together. The book is aimed at helping managers understand how to stimulate their employees' creative juices. VB: Is it easy to tell when sparks are flying during a creative process? Dorothy Leonard: Oh yes, because you have people disagreeing with each other – often passionately – and building excitedly on each other's ideas. You have lots of ideas coming to the forefront. Different approaches and methods of thinking are emerging. There is a lot of original thinking. One of the most important things you can do to stimulate creativity and make sparks fly is to challenge the assumptions being made about the problem or opportunity being considered. VB: Would you explain the importance of divergent and convergent thinking in the creative process? Dorothy Leonard: Divergent thinking opens the mind to challenging assumptions, to seeking different stimuli, to approaching the problem many different ways, to blue-sky thinking in a way that suggests solutions that have never been tried before or have been tried before but not in this way. Thus divergence is the creation of options – a menu from which to choose alternative approaches to the opportunity or the problem. Convergent thinking is also essential because once you have a wide menu of options you have to narrow them down to a few you will pursue with some focus. So, the convergence is a closing of a cycle of innovation. That doesn't mean you don't go through the process again. You do. You'll go through cycles of divergence and convergence on any project that is somewhat long term. For example, if you are developing a new product you will go through the concept development phase as a divergent and then convergent process. As you begin to move to prototyping you'll find it necessary to diverge again as you discover what does and doesn't work with your prototype for technical, design, sociological, economic or other reasons. You will use the divergent and convergent process to come up with creative ways of producing the product or service and of introducing the innovation into the market. This divergent and convergent thinking process will even be used when planning for after sales service. It is an iterative process that is constantly recurring in any innovative endeavour. VB: What is 'creative abrasion', and why is it important for group creativity? Dorothy Leonard: Jerry Hirshberg, the founding director and president of Nissan Design International until he retired in June 2000, coined the term creative abrasion. Creative abrasion is intellectual disagreement and it is important because if a team consists of people who all come from the same background it's difficult to get them to challenge their shared assumptions. I recall working years ago with a group from the World Bank. When I looked around the room I saw a wide variety of skin colours, eye shapes, and hair colours; you'd think there would be a lot of creative abrasion in such an organization. But they were all economists who had been educated at the same six universities in the world. As a result they approached problem solving from the same perspective. There were no sociologists, psychologists or other people who might approach it differently. Since then the World Bank has changed, but the point is you need divergent thinking in order to create a menu of options. And you get divergent thinking by involving people who have different 'stuff' in their heads. When they have different life experiences and different areas of expertise people will disagree. That's when you get creative abrasion. It's true abrasion. They will disagree and argue with each other. The Manager's job is to try to make sure this intellectual disagreement is channelled into producing a creative product rather than being expressed as interpersonal conflict. VB: The key to creative abrasion is getting the right mix of people? VB: You say the "Groupthink" tendency is troublesome for creativity. Would you elaborate? Dorothy Leonard: The term refers to the phenomenon of people in a cohesive 'in-group' thinking so much alike that they are unable to challenge each other's thinking. They are comfortable with each other's thinking and therefore are likely to head off in the same direction like a herd. The members of the group are striving for unanimity and this desire overrides any motivation to assess alternative courses of action or challenge each other. Irving Janis created the term. He was talking about such things as the infamous Bay of Pigs invasion in 1961 under President Kennedy. Some people sat in the Cabinet meeting nodding their heads even though they knew it wasn't the right thing to do. They didn't challenge the emerging consensus because it reflected the prevalent thinking. It's very hard to challenge a group when both formal and informal leaders of the group are headed in one direction. It's like seeing a herd of buffalo thundering along in a stampede, and who are you to challenge them? VB: Do groups always have an advantage over an individual when it comes to creative output? Dorothy Leonard: It depends on the composition of the group. A group of people who are thinking exactly alike might not have an advantage over an individual who, at the risk of bringing up a term that has recently earned a lot of baggage, is a maverick. The point is you need, as I said earlier, the challenging of assumptions, the openness to various stimuli, and the ability to approach a problem from a lot of different directions. An individual may be able to do that better than a group if the group is immersed in, or enfeebled by, 'Groupthink'. But in general, are we likely to get more diversity of thinking from a group of people than from one person? I think we are. The old saying, two heads are better than one, comes from the belief that if two people look at a problem or an opportunity, they are sure to come at it at least from slightly different perspectives, unless they are mesmerised into a complete lock step in their thinking. VB: You say brainstorming can be unproductive, but suggest using "electronic brainstorming" to help eliminate the blocking of ideas. What is it about brainstorming that can cause it to be unproductive? Dorothy Leonard: Research shows that if you have a group of people simply brainstorming together you don't always get anywhere. However, most of the research that has been done on brainstorming was not related to real world problems. Instead it was based on questions such as: if you had another thumb what would you do with it? How many ways can you use a brick? It's fun, but most of the research showed that when people think about such abstract problems separately they came up with more ideas than when they talked to each other. We argue in When Spark Fly that when you put a group of people with diverse backgrounds and experience to work on a real world problem they can often feed off each other in a highly creative way in brainstorming sessions. You have to have people who are intelligent and preferably have different backgrounds in order to have productive brainstorming. We gave product development company IDEO's brainstorming sessions as an example. This company excels in the process of creative development, and they entertain wild ideas in their sessions. But ultimately, they focus on the problem or opportunity grounded in reality. VB: Our readers will be interested in your comment that electronic brainstorming is effective in eliminating the blocking of ideas so that more ideas are generated. How does that work? Dorothy Leonard: Participants type their ideas as they come to them without other interruptions. The ideas of other members are shown in a separate window on the computer screen, and this can stimulate generation of new ideas or elaboration of others' ideas on the screen. Research evidence suggests that more ideas are generated compared to traditional brainstorming because participants are free to focus on their own idea production at their own pace. Electronic brainstorming overcomes the phenomenon often found in group dynamics of some people not speaking up or being actively involved in generating ideas. Research has shown that individuals thinking separately in a nominal group come up with more ideas than a group whose members were interacting in real time. Electronic brainstorming potentially offers both the benefits of individuals thinking on their own and yet having the opportunity to see others’ comments online and build on them. VB: How can leaders minimize interpersonal conflict in diverse groups, or is this a wise thing to do if one wants to spark creativity and innovation? Dorothy Leonard: It depends on how it's managed. You don't want people having personal arguments, and taking personal umbrage. But you do want disagreement, so it goes back to the distinction between intellectual disagreement and personal disagreement. Personality based disagreement is not helpful in the creative process. A Manager wants to create an environment that is conducive to intellectual disagreement and debate but with rules in place--process rules that protect against insults. When you're doing divergent thinking you want to protect against comments that would dampen the enthusiasm of people for generating a wide range of new ideas. If you were to visit companies and organizations where brainstorming is well managed, you would see that there are process rules. IDEO is a good example. Other companies have success with brainstorming when one person speaks at a time, people build on each other's ideas, and no personal attacks are permitted. VB: How does one’s own thinking style affect one's ability to be involved with group creativity? Dorothy Leonard: It's good to be aware of one's own preferences. Thinking styles can be strong or weak. If they are strong, then there are certain advantages and disadvantages to different kinds of thinking styles. For example, the Myers Briggs Type Indicator is a psychometric questionnaire that indicates how people perceive the world and make decisions. If you have a strong preference for being a 'P' rather than a 'J', that strong preference for 'perceiving' means you like to create options – the more, the better. Therefore you may contribute more to the divergent than the convergent part of the group process. Contrarily, if you have a strong preference for 'judging', meaning you like closure on things, you may need to be patient with the divergent process and contribute more to the convergence. So if you have a strong thinking style you want to be aware of its type. If it's not strong it's not very relevant. VB: Is it useful for members of the group to know each other’s thinking styles? Dorothy Leonard: Yes, if it's not done in a superficial way. What worries me about having people know each other's thinking style is that people begin to label. "Oh, you're an INTJ and I'm ESTP." I don't think that is helpful. First of all, your thinking style preferences are not fully captured by that letter, whatever it is, a 'P' or a 'J'. It depends on how strongly you feel that preferred way of thinking and acting. To reduce it to four letters is dangerous in a group because people begin to categorize each other. On the other hand, it can be very useful in diffusing personal animosity and keeping the discussion or intellectual disagreement at an appropriate level. For example, it can be useful to the group if people understand that someone is a very strong 'P' and someone else is a very strong 'J'. The usefulness of knowing each other's thinking styles depends upon the depth of understanding in the group of what it means to have thinking styles, rather than just using them as a superficial label. Secondly, it makes a significant difference if the group has a leader who understands the value of those different thinking styles. If so, it's more likely the people in the group will respect the fact that such diversity is useful for the group to function effectively and creatively. VB: To invite stimulation in the group, you suggest having people from outside the organization be part of the group – encouraging visits from "aliens". What are some of the benefits of using "aliens"? Dorothy Leonard: What we are talking about is trying to break up deep, well-held beliefs about what is the right answer to questions. 'Aliens' come in with a different perspective than the organization or the profession has, and they can ask 'stupid' questions. This can sometimes be very helpful. 'Aliens' are useful because they see problems and opportunities with new eyes. I remember, for example, a new member of the board of a poultry producing company asking a 'stupid' question, "What does it mean for a chicken to be frozen?" It turned out this question is not easily answered because it depends on temperature, how long the temperature is held, and other variables. It was actually a very useful question, but it was not the kind of question someone inside the industry would likely come up with. VB: Aliens help to jar the subconscious into different ways of thinking? Dorothy Leonard: I think they jar the conscious. I don't think it's the subconscious at all. They jar an organizational pattern of thinking, or an individual pattern of thinking. You have someone coming in asking naive or uncomfortable questions like, "Why do you do it that way?" It can cause a lot of discomfort if the members of a group don't understand that that is the function of the 'alien', and that it serves a very useful purpose. VB: If someone is new to a group and they don't know the jargon, the lingo, or the technical language and they ask questions, it forces people to think about and clarify what they are saying rather than assume each other knows by virtue of the use of the jargon or technical language. Dorothy Leonard: Yes, but there is a certain amount of jargon it would not be useful to have an 'alien' ask about. Such as, "What do these initials stand for?" Every organization – especially, but not restricted to, government agencies – has a considerable amount of 'work-speak'. They have a lot of acronyms. It is probably not a good use of time for an 'alien', who doesn't know these acronyms, to ask questions about what they stand for. But, an 'alien' can be very useful by asking why some things are done in certain ways or asking about definitions that are sometimes assumed. Dorothy Leonard: I think that the beginner's mind and expertise is particularly interesting. VB: In generating fresh perspectives? Dorothy Leonard: Yes, a beginner's mind can provide fresh perspectives, questioning of assumptions, introduction of new stimuli, and breaking up of 'Groupthink'. We give an example in the book of a couple of marketers who worked with researchers on Lever's Dove soap, the Dove Team. Two women from Ogilvy & Mather Advertising, who were novices in terms of science – so they had beginner's minds – worked with expert technicians. Their questions helped them develop ads that included simple science that was relevant and understandable. The result was dramatically increased sales and, as we say in the book, it "blew the competition out of the bathtub." Experts have deep knowledge, and that deep knowledge is a two-edged sword. It is extremely useful and allows experts, as we talk about in Deep Smarts, to make decisions based on pattern recognition. But the liability is that people who possess expertise are accustomed to problem solving in a certain way, and therefore won't be as likely to think of something original, even though they have the capacity. So by pairing an expert with a relative novice, you may have the best of both worlds. You combine a mind that is questioning assumptions with an experts' deep knowledge about a phenomenon and process experience, and that gives you an opportunity for a lot of creative thinking. VB: Professionalism and play is another of the paradoxes. Would you talk about the value of play in the creative process? Dorothy Leonard: People have tried to introduce that paradox into an organization superficially, by bringing in Foosball stations or other obvious elements of play without really understanding what it is they're trying to accomplish. What you want to accomplish is a degree of irreverence for the obvious solution, a certain humility for considering new ideas. One of the easiest ways to nurture that humility is to play. To try things out with no penalty, but at the same time you've got to have a professional reason behind the play. You want a combination of professionalism and play working in concert so that you don't have the superficial trappings of play without the underlying serious motive of uncovering new ideas. VB: In order to come up with non-traditional and extreme potential solutions before they become popular, you recommend groups stretch boundaries when looking for innovation options. How can leaders help groups engage in this type of creative output? Dorothy Leonard: There are a number of different things group leaders can do. A leader can challenge their people to think differently. We have seen instances where companies take their employees, including those at the top, on field trips. In too many organizations people are forced by circumstances to stay in their offices without direct exposure to their customers, or to other companies or organizations that could stimulate new ideas. An example of a field trip would be going to see how the Walt Disney Company manages its underground city of service delivery, the invisible army providing services behind the scenes. Some companies go to FedEx or UPS to understand how logistics can be used as a competitive advantage. VB: You say asking customers for feedback or doing surveys is not the best method for coming up with creative solutions. You suggest using "empathic design". Why is observing behaviour more effective? Dorothy Leonard: If you ask people about a known set of products you will get good ideas for small incremental innovation. You are unlikely to get breakthrough ideas for a couple of reasons. One is that your customers don't know what you are capable of delivering so they can't ask for technology, services or processes they don't even know you could deliver. Moreover, they are likely to be focused on the problems they are having with current products or services, rather than thinking about totally new solutions. For example, when Hewlett Packard had its medical division it sent researchers to watch doctors using software and imaging equipment to guide them during surgical procedures. The researchers realized that while the surgeon was working, if a nurse walked between that doctor and the screen for even a split second, the doctor's vision was blocked. Is the surgeon going to ask, "Can you put a screen in front of my face so it isn't interrupted?" Maybe, but it's unlikely. But researchers observing the operation can think of such a thing knowing that it's possible. The reason for observing people in their environment is that it enables you to put together two very different sets of knowledge. One set of knowledge is what the user may be doing, or asking for, in his or her environment, or the problems they are encountering in their situation. The other is the knowledge about the capabilities of the organization or supplier that are held in the head of the observer. VB: What makes IDEO one of the most creative companies in the U.S., and could other companies follow their model? Dorothy Leonard: Other companies are following their model. Some have hired IDEO to train them in the IDEO process. The IDEO process pretty much follows what we talk about in the book. They have all the paradoxes in hand. They bring in young people who have a beginner's mind but they also have people who have deep expertise in various areas. They use brainstorming in a very controlled way in that they have rules for managing it. All suggestions are encouraged during the divergent period and they have good methods for convergent thinking. The reason IDEO is such a creative company is that it manages creativity as a process. They are able to do that so well because, among many other reasons I'm sure, they have a combination of engineering expertise and design expertise. VB: If you were advising a company on how to change its physical environment to promote creativity, what would you tell them? Dorothy Leonard: For groups that need to work well together I would look to identify and eliminate barriers to communication. Can your marketing people really talk to your manufacturing people? Can your sales people communicate well with your design, manufacturing, and after service people? I would look for physical barriers. We are, as human beings, fairly lazy. Although electronics have substituted for a lot of face-to-face communication, there are still good reasons to wander in the hallways where you can serendipitously bump into people. If you are friendly and talk you may find connections to otherwise unconnected projects and unconnected ways of thinking. VB: What about the role of passion? Dorothy Leonard: One of the interesting things we realized in researching for Deep Smarts was that people who had 'deep smarts' had passion about their knowledge domain. It makes a lot of sense if you think about it. If you care about a knowledge domain you are always open to learning more because you have fun learning about your particular domain. For example, when you find a salesperson who really understands how to deliver on sales, you will have found somebody who loves to sell. The same is true in any domain. In our research we were not surprised but we were struck by how important passion is as a motivator to continually learn and to be creative. VB: Would you talk about the value of prototyping in the creative process? Dorothy Leonard: Prototyping serves a lot of different purposes. In 1991 I wrote an article for Design Management Journal titled "Inanimate Integrators: A Block of Wood Speaks". I wrote it after being struck by the fact that Sony's Chief Engineer gave a block of wood to the engineers and said, "This is how big I want the Walkman." A block of wood communicated a lot. It communicated the bounds, the boundary, of the design. It set some clear objectives. Prototyping allows people to make concrete ideas that otherwise are difficult to communicate, and to try out many different solutions to a project or a problem within a project. In a sense prototyping is also a way of playing. You can try out different things with relatively little cost. One always hopes you can do prototyping in a fairly low-cost environment. Prototyping helps a group of people converge on a concept and put their minds towards understanding how that concept works. If you and I are discussing an idea in the abstract, let's say we're designing a new chair, how much more useful would it be if we could see the design in some form, metal, wood, foam or whatever? With such a prototype we could discuss and make modifications to the design of the chair. It's a better way of communicating and allows us to try out ideas in a low-cost environment. And, by the way, prototyping doesn't have to be physical. You can prototype processes. You can try things out. For example, a post office tried something which was rather disastrous – well not disastrous, but it didn't work. Companies that have someone who greets customers on arrival and directs them to where they wish to go impressed them. They thought it would be a great idea in a post office. Why not have a greeter, someone who steps out from behind a counter and says, "Can I help you?" It turned out a greeter scared the heck out of people, because they just weren't used to it and I think it was relatively soon after there were several instances of postal workers running amok in the U.S. They tried out the new process and it didn’t work, but it also didn't cost a lot to prototype the process. VB: Does the current recession have the potential to be considered a gigantic "intelligent failure"? Dorothy Leonard: The point of intelligent failure is that you have some idea of what the consequences are of what you're trying. In order for a failure to be intelligent, you have to try to understand contingencies and consequences and then undertake your plan with the understanding that it's an experiment. It may fail, but you will learn from it. The current recession and its causes don't seem very intelligent, do they! This recession was not intended to be an experiment. It turns out it was, but nobody deliberately sat down to design it as an experiment. Certainly there was a great lack of thought given to consequences and contingencies. An appalling lack of understanding of interdependencies. So, no, I wouldn't call it an intelligent failure at all. VB: But we hope the world will learn, and not repeat the same mistake. Dorothy Leonard: Yes, it would be nice to think so wouldn't it, but it seems as if we continue to repeat serious mistakes. One of the facets of this current horrible recession is experimentation without oversight of possible consequences, and we've seen that before. We saw it with Enron and we've seen it other places but we don't appear to learn. I hope we will learn this time but I'm not really optimistic about it. VB: In your most recent book, Deep Smarts, you say "deep smarts" are based more on "know-how" than "know-what", and are as close as one gets to "wisdom." Can a person intentionally become a person with deep smarts? Dorothy Leonard: Absolutely. That's where passion comes in. If you have a passion for something you understand that developing your expertise means devoting yourself to learning as fast and as much as you can, including soliciting an experienced mentor from whom you learn as much as you can. Right now I am changing careers, in that I am re-focussing my energies on art. It's something I left thirty-five years ago. I have apprenticed myself to someone who is very good at portraiture, which is what I want to do and am doing. I'm trying to develop deep smarts by using all the tools we describe in Deep Smarts. In the book we talk about guided experience, guided experimentation, observation, and practice and how you need to do all of those things to develop deep smarts. I am more convinced than ever that we're absolutely right. VB: Developing deep smarts takes seven to ten years of focused effort. Will it take you that long to become a portrait artist? Dorothy Leonard: I suspect it may. It's not as if I come to it never having drawn in my life. Before I went back to academia and got my PhD, I did quite a lot of drawing. So I am drawing on long unused abilities. Previously I reached a certain skill level through practice and guided experience. So, I'm hoping it's not going to take seven years. I expect it will take me about five. The 7 to 10 year rule originated in social psychological research done on the ability of people to develop expertise in fields like chess, music, and so forth. It does take time and the reason it takes time is because experts have, as I said, the ability to recognize patterns. You have to develop the patterns in your head before you can recognize them. As the definition of deep smarts implies, they are acquired through practice and experience. VB: Are people with deep smarts in an organization the ones most likely to contribute to internal innovation and creativity? Dorothy Leonard: Not necessarily. It depends totally on the openness of the expert to challenges, and that's why you put an expert with a beginner who will challenge their assumptions. Some experts are comfortable with what they do, and they can significantly inhibit innovation if they are allowed to denigrate every new idea that comes their way. They have half of the requirement. They have the deep knowledge and capabilities but they need to be open-minded. Not everyone with deep smarts is open-minded. That's not part of the definition of deep smarts. VB: "Organizational stories can encourage us to innovate…or not" Would you explain? Dorothy Leonard: It's like any other cultural or environmental influence. If you believe that innovation and novel ideas are valued in your organization, you are more likely to endeavour to create new ideas. Organizational stories about prior innovations that were rewarded are very helpful. Stories about things that happened which inhibited innovation can constitute barriers to further innovation. One time when I was working with a company I asked the employees, "What's the innovation climate like here?" They said, "It's not really good at all. We have a brand new CEO, he's been here for three years and he says he wants innovation and he says it is safe to innovate. But pfff, you know what happened to Mary." I asked, "What happened to Mary?" And they replied, "She came up with a fabulous new idea in marketing, and she got sent to Siberia, North Dakota, or somewhere equally undesirable." I queried, "When did that happen?" And they responded, "Oh, it must have been six or seven years ago." Someone else said, "Yeah, and what about Harry? Harry almost got fired because he did something novel." Again in response to the question, "When did that happen?" the reply was "Oh, that happened ten years ago." So, you see, a new CEO arrives and tells everybody he wants innovation but their heads are still full of what happened before he came. The new CEO must replace those old stories or myths about the way innovation is treated in the organization with new expectations and stories if he or she is to succeed. VB: You have to create new stories that promote innovation and creativity? Dorothy Leonard: Yes. If you want to change the culture, you need to promote stories that emphasize the value of, and rewards for, innovation and creativity. VB: You are the William J. Abernathy Professor of Business Administration Emeritus at Harvard Business School. How were you accorded this distinguished position? Dorothy Leonard: I should explain that most of the full professors, if not all of them at Harvard Business School, have Chairs. It means there is an amount of money that is put aside to subsidize, or completely pay for, the research and sometimes the salary of the professor. William Abernathy was the professor at Harvard who hired me from the Massachusetts Institute of Technology, and so having the chair named for him has special significance for me. Most people who make it through the process of becoming tenured at the Harvard Business School do end up having a Chair of one kind or another. VB: It's a special honour to make it through to full tenure. Dorothy Leonard: That process is difficult but, once you have full tenure, becoming Chaired at Harvard is not as much of an honour as it is in other universities where it is relatively rare. VB: What books do you recommend we read after finishing When Sparks Fly and Deep Smarts? Dorothy Leonard: Some of the ones I'm going to suggest to you are a little bit older. Serious Play: How the World's Best Companies Simulate to Innovate by Michael Schrage, published in 1999, is about prototyping, and I think it's an interesting book. Weird Ideas That Work: How to Build a Creative Company by Robert Sutton, published in 2001, shows how "weird" ideas, many being contrary to accepted management practices, can promote innovation and success in companies. How Customers Think: Essential Insights into the Mind of the Market by Gerald Zaltman, published in 2003, is a very powerful book. It gives some interesting insights on the importance of memory, metaphor and storytelling in customers' decision making and the ways marketers might use these findings. VB: Thank you for telling us about "when sparks fly" in the creativity and innovation process. 5. Convergence on one option – moving from many options to one innovation. 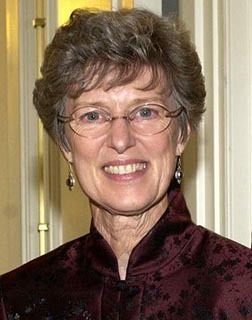 Dorothy Leonard was a volunteer University Teacher with the U.S. Peace Corps 1965 to 1967, a Free-lance Journalist in Thailand and Indonesia 1971 to 1975, founder and Manager of the Jakarta Business Bulletin 1972 to 1975, Research Assistant and Research Associate at Stanford University 1975 to 1979, Policy Analyst with SRI International 1979 to 1980, Assistant Professor at Massachusetts Institute of Technology's Sloan School of Management 1981 to 1983, Assistant and Associate Professor at Harvard Business School 1983 to 1993, Professor at Harvard Business School 1993 to 2004. Leonard co-authored with Walter Swap Deep Smarts: How to Cultivate and Transfer Enduring Business Wisdom (2005), When Sparks Fly: Harnessing the Power of Group Creativity (1999), and is the author of Wellsprings of Knowledge: Building and Sustaining the Sources of Innovation (1998). She has also written numerous articles published in journals, technical reports, and chapters for other books. She has a B.A. from Principia College in Elsah, Illinois, an M. A. from University of Virginia in Charlottesville, Virginia, an M. A. from Harvard University (Honorary), and a Ph.D. from Stanford University, Stanford, California.